It almost didn’t happen, with Philippine Airlines cancelling our flight because of Typhoon Glenda. Thankfully, we were able to rebook everything without more hassle than merely moving the whole of our trip a day later. 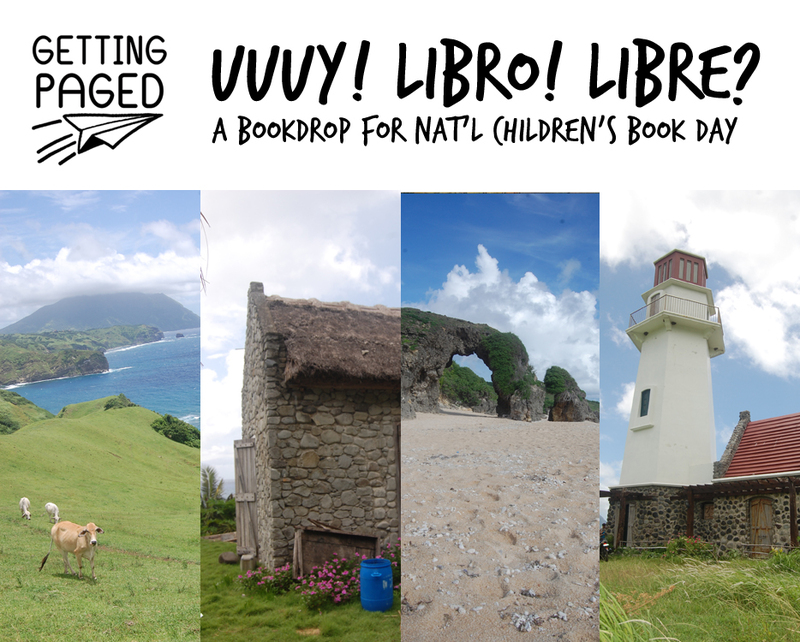 So we spent the week of National Children’s Book Day—officially on July 15 this year, but again with postponements due to Glenda, will be celebrated today instead—in Batanes, which I think is every Filipino’s dream local destination. And rightfully so, because it is as majestic and culturally rich as it is touted to be. GettingPaged decided to spend the last full day of our trip thanking our wonderful Ivatan hosts by doing our bookdrop right there, in Basco, Batanes. In keeping with this year’s NCBD Theme—”Pumitas ng libro. Buklatin. 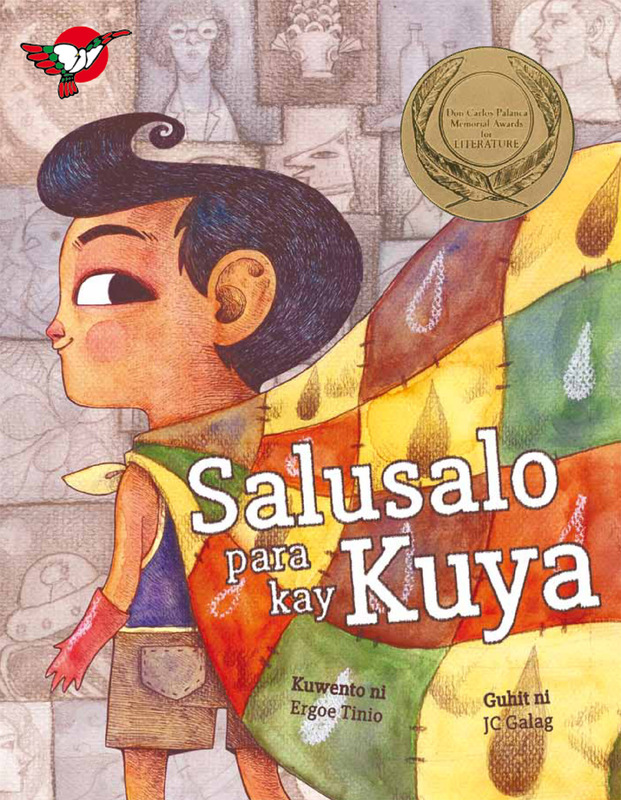 Basahin.”—we decided to put Tight Times, 2007 PBBY-Salanga and PBBY-Alcala Winner on one of the trees in the Basco Plaza. 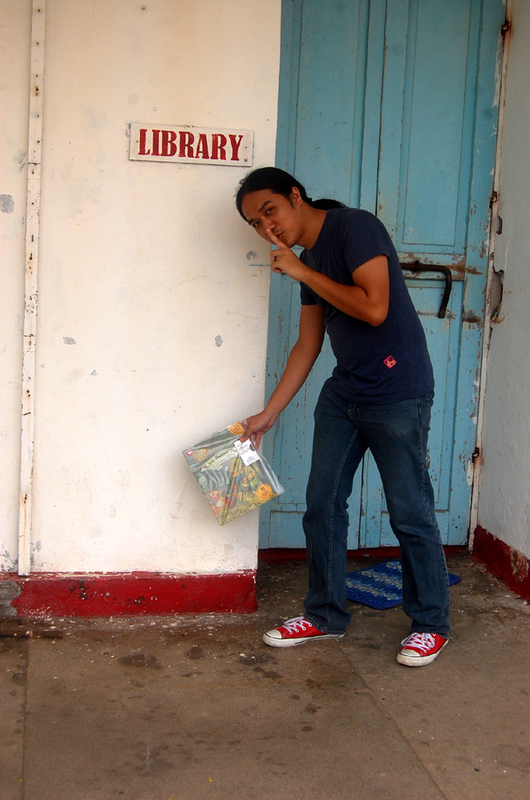 Naku, Nakuu, Nakuuu!—2008 PBBY-Salanga and PBBY-Alcala Winner and 2013 Peter Pan Prize awardee—was dropped at the door of Basco Central School’s Library. Right in front of Basco Central School is a public playground. 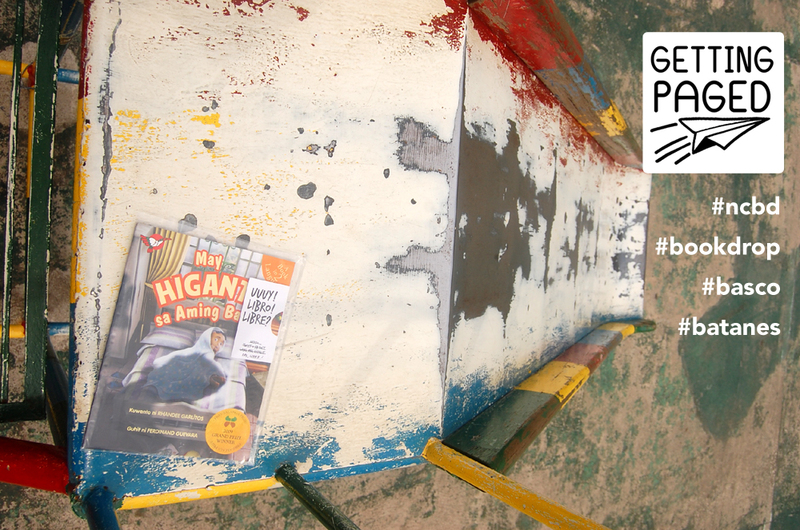 On top of one of the two slides, we dropped 2009 PBBY-Salanga and PBBY-Alcala Winner May Higante sa Aming Bahay. Kuya Servic, who owns a beauty salon a block away from the Basco plaza, promised to give Anong Gupit Natin Ngayon, 2012 PBBY-Salanga and PBBY-Alcala Winner, to the first kid who comes in for a haircut. 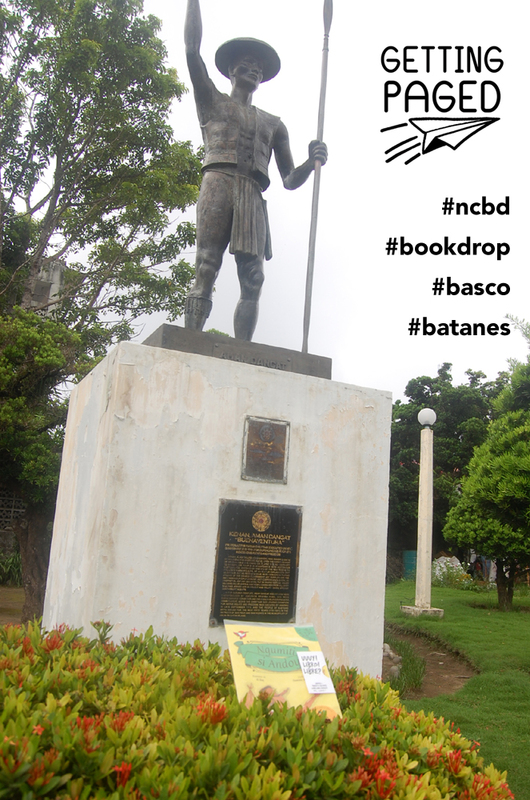 2013 PBBY-Salanga and PBBY-Alcala Winner Ngumiti si Andoy, a book about Andres Bonifacio, was dropped in front of this monument of Kenan, Aman Dangat Buenaventura, protomartyr Ivatan chieftain executed under Spanish rule in 1791 for defending his people’s indigenous rights and freedom. 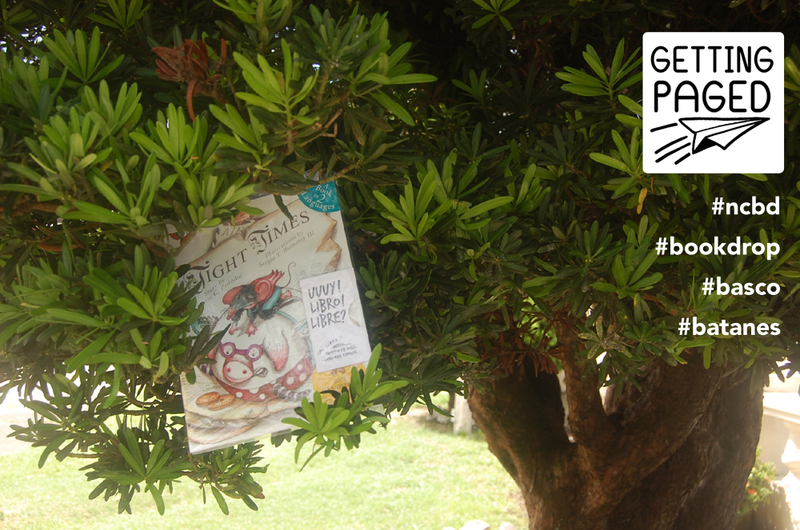 We had so much fun doing this bookdrop that we have decided to do this every time we’re on vacation somewhere. 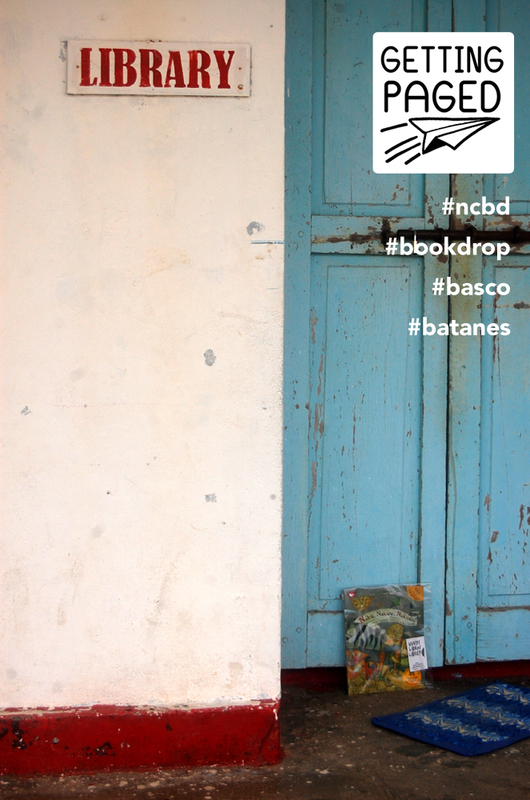 More than making us feel good for doing something nice, it gave us a new way of exploring a new place, and we ended up getting to know Basco a little better. Thank you so much to the volunteers, authors, and illustrators who helped us with this book event! (Belated) Happy National Children’s Book Day, everyone! Nakun, Nakuu, Nakuuu! 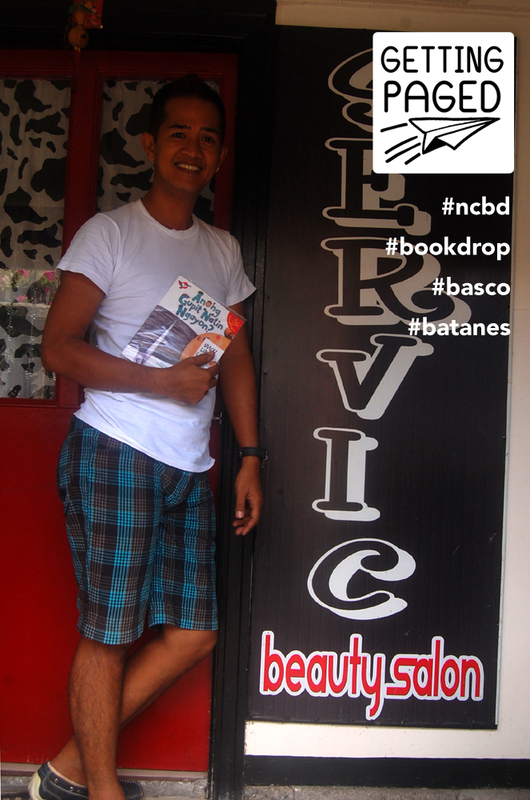 author Nanoy Rafael does the drop for his book at Basco Central School.